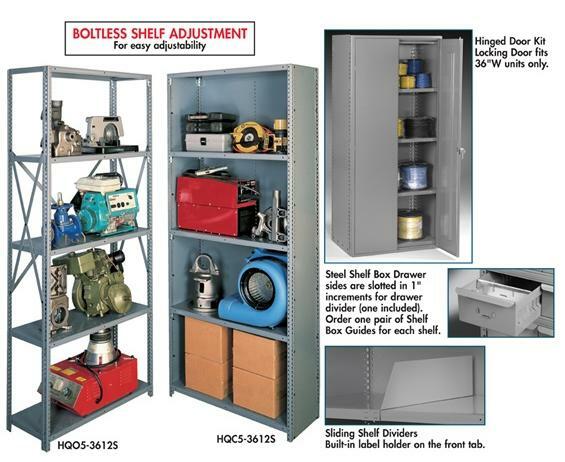 Tennsco Q-Line Industrial Shelving | Morrison Industrial Equipment Co. The unique shelf design has deep box-beam formations front and back, fully lapped and welded corners and double-ribbed outside surfaces on the box formation. In addition, the front and rear flange on the box beam is welded every 3". The result is load capacities that range all the way up to 1000 lbs. Shelves can be adjusted quickly and easily in 1" increments to make maximum use of vertical space. Five shelves including top and bottom shelves. Choose from open or closed units. 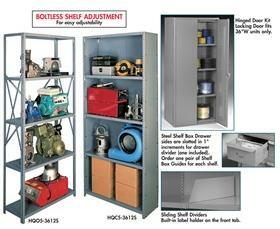 Additional shelves are available as well as adjustable shelf dividers, shelf boxes and doors. Starter unit can be used individually or combined with adder units to form a row of shelving. Shipped unassembled. Medium gray finish. FOB Shipping Point. 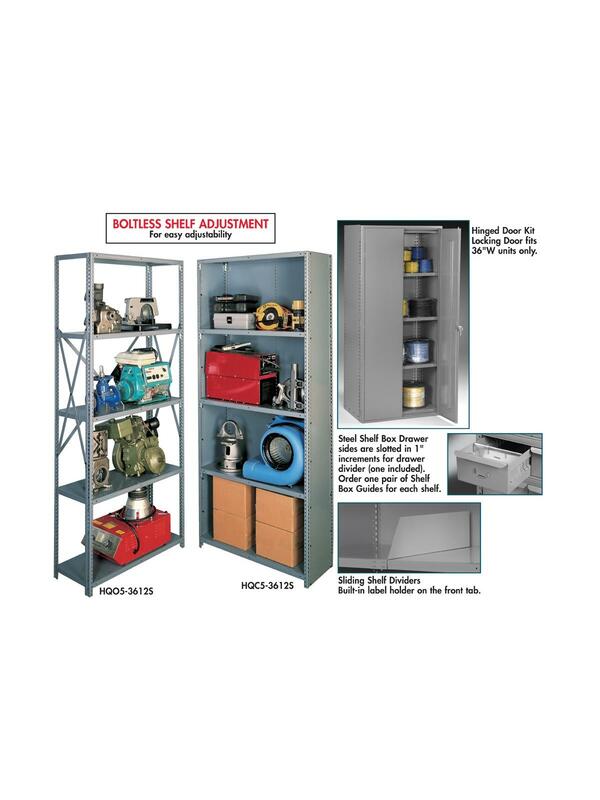 See Related Items tab for Tennsco Q-Line Industrial Shelving - Extra Shelves and Tennsco Q-Line Industrial Shelving Accessories.